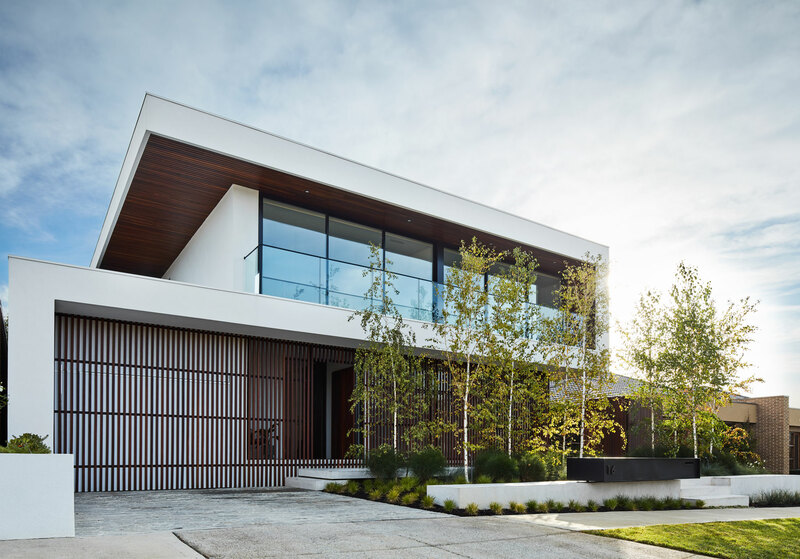 A Dynamic form intertwined with Elegance and Serenity. 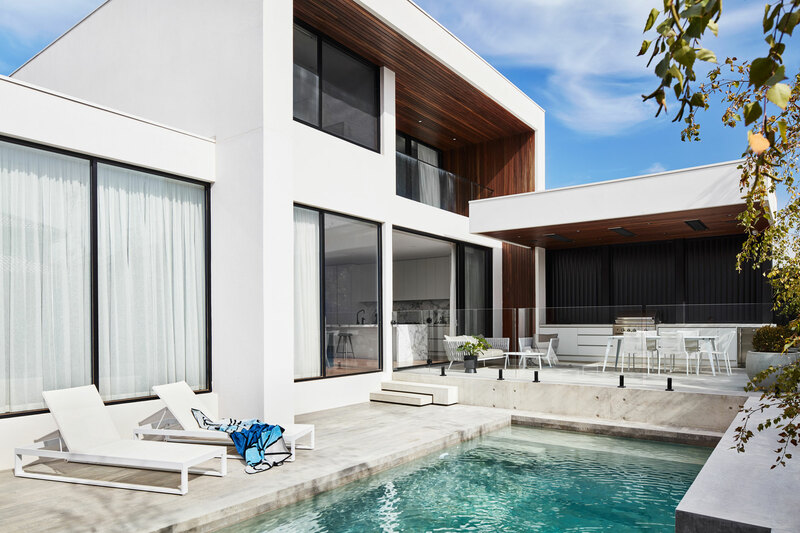 A striking sculpture set amongst crafted landscapes, the Palmerston House embodies dynamism intertwined with elegance and serenity. 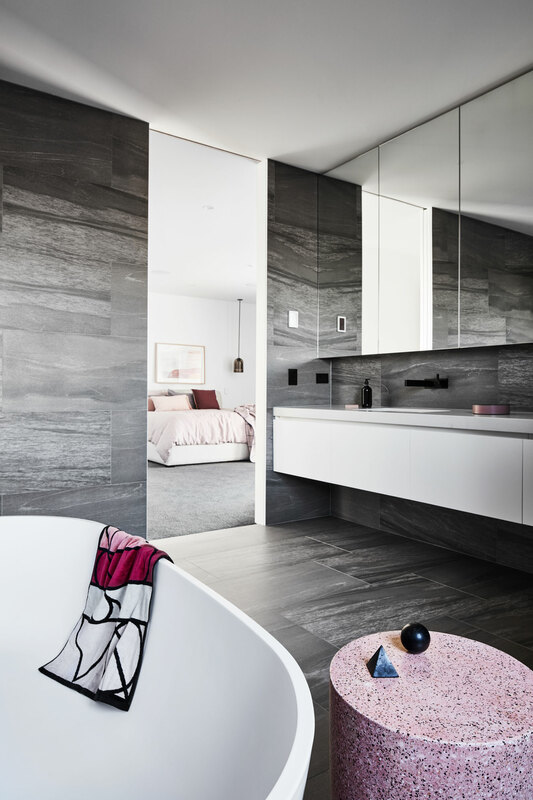 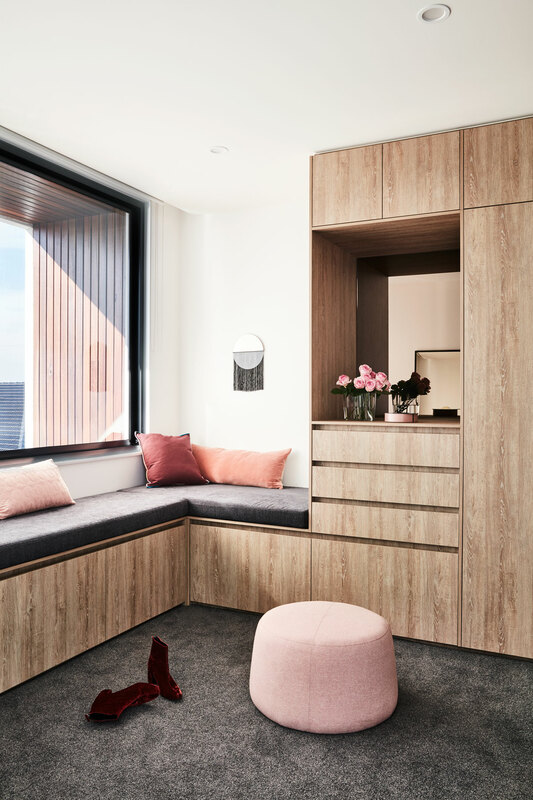 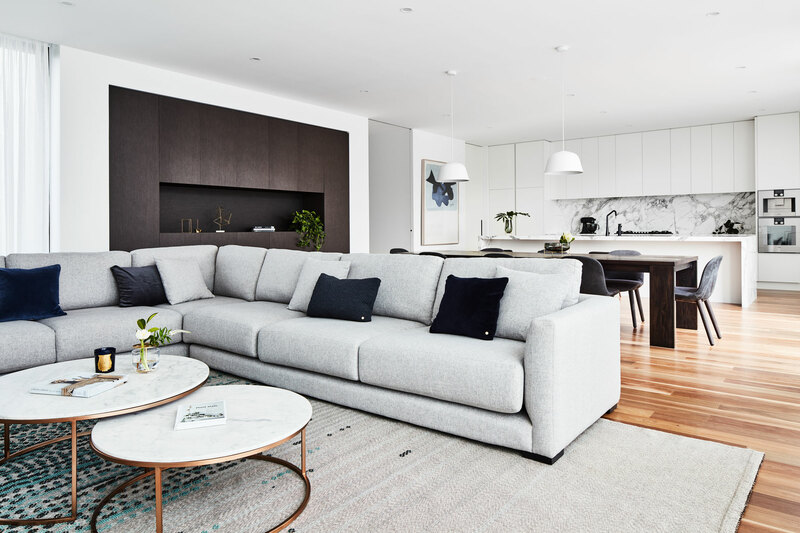 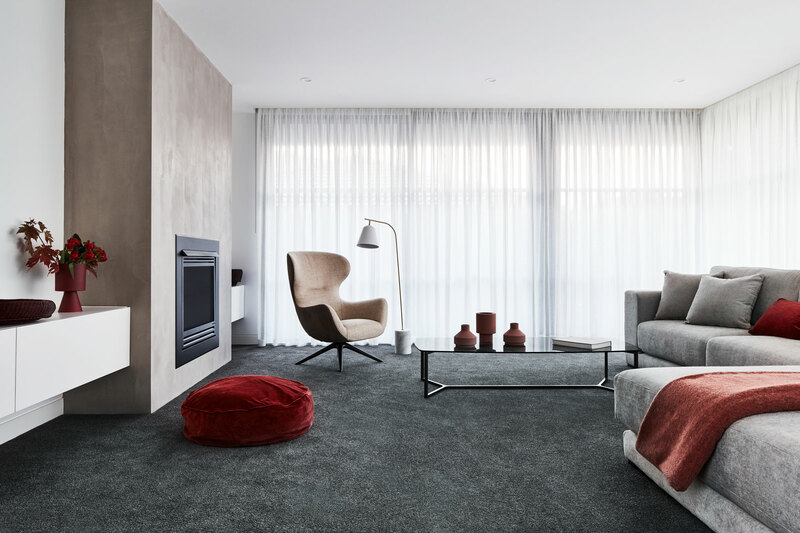 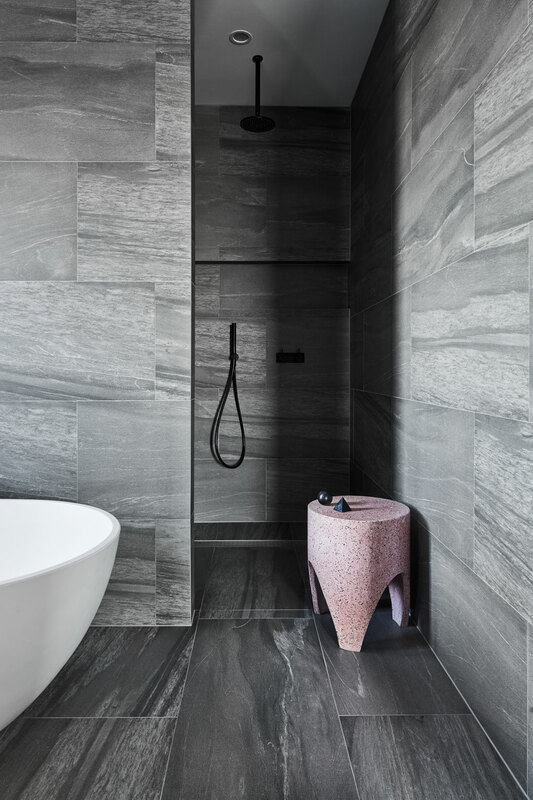 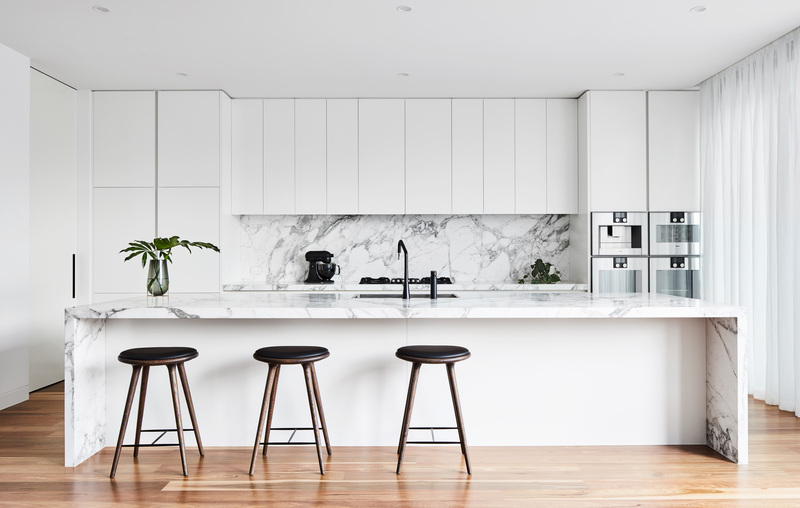 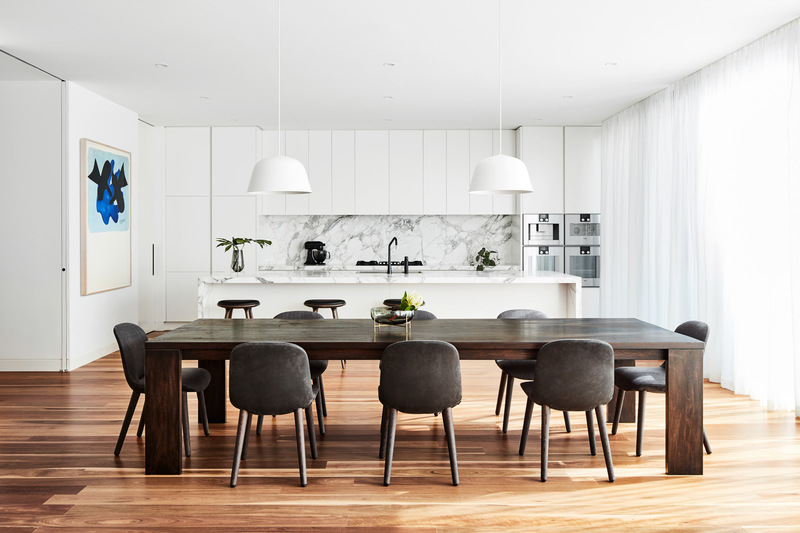 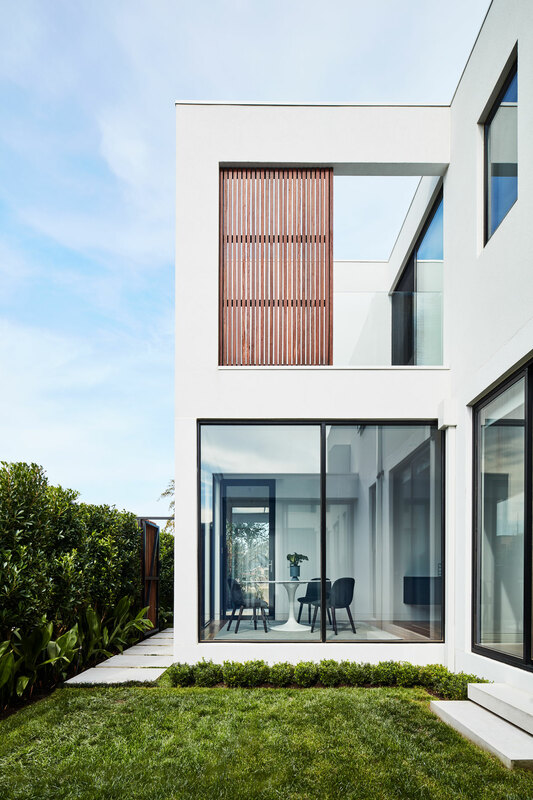 With a large brief that required a triple storey residence, a tactful approach to scale was adopted by concealing the basement level and moulding the building’s form to create courtyard gardens on either side that connect with interior spaces through expansive glazed windows. 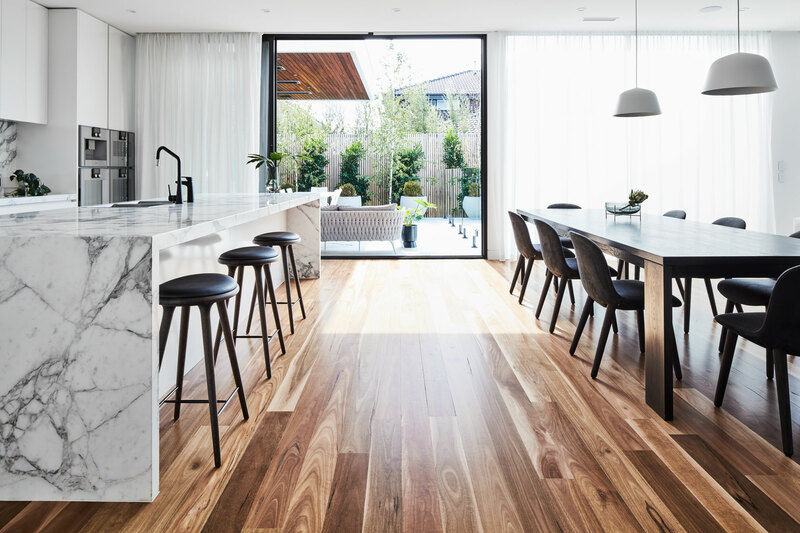 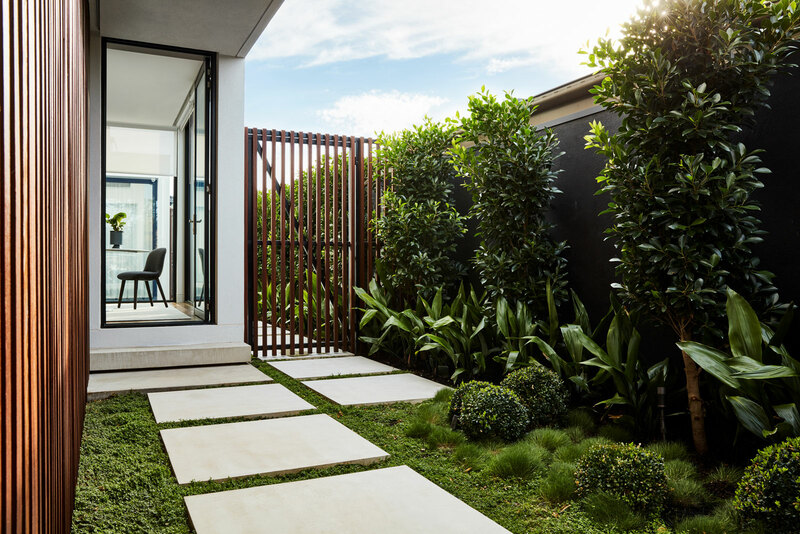 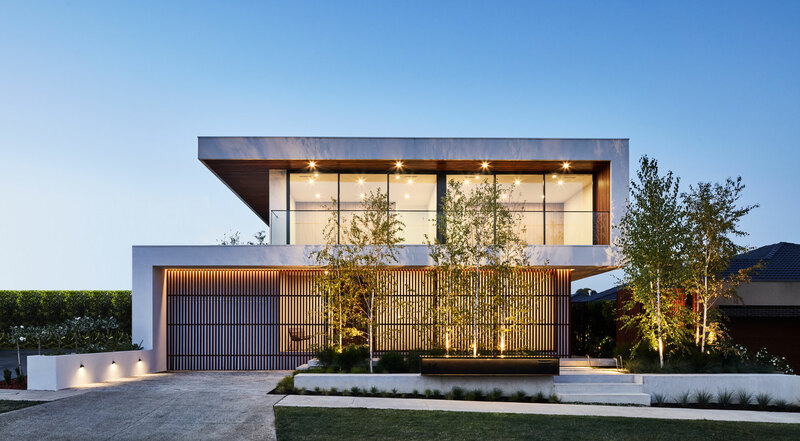 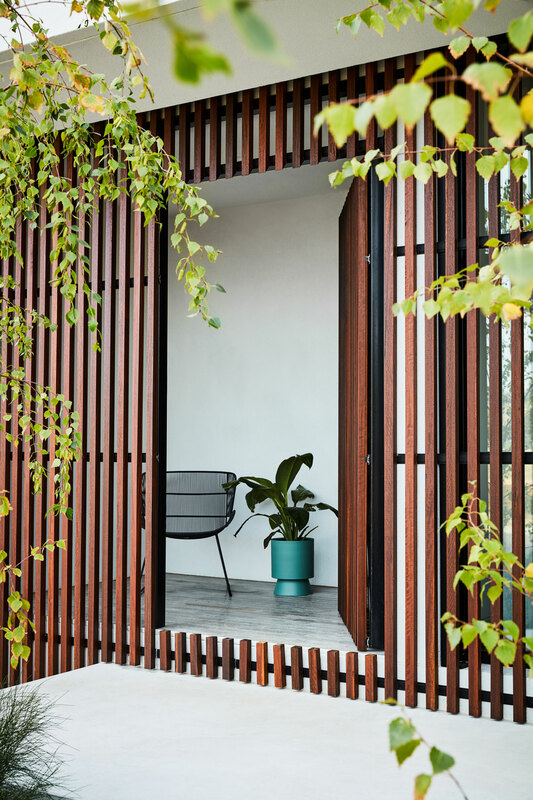 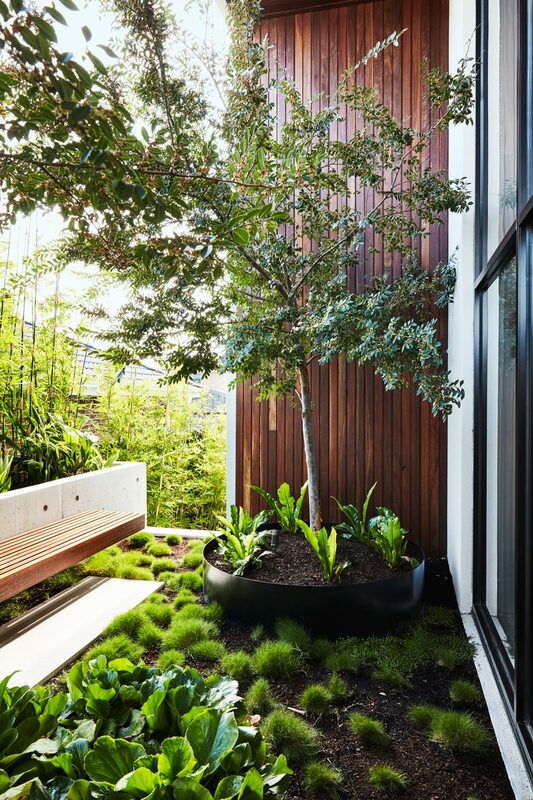 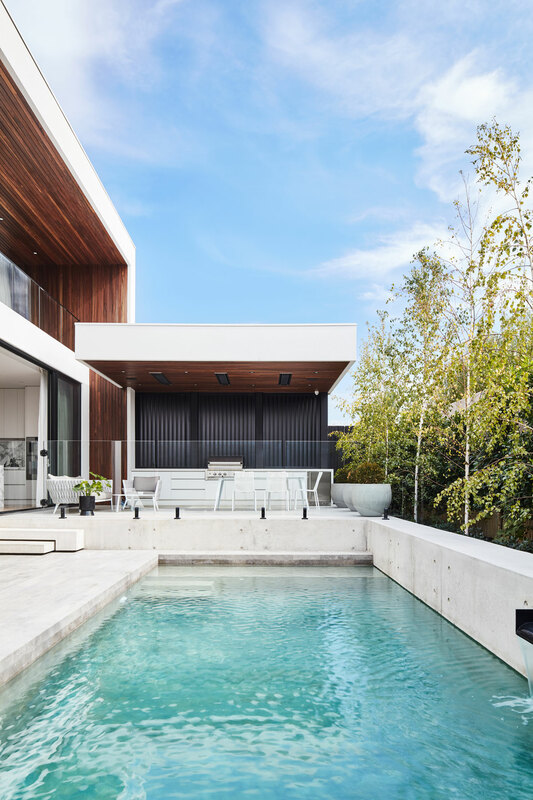 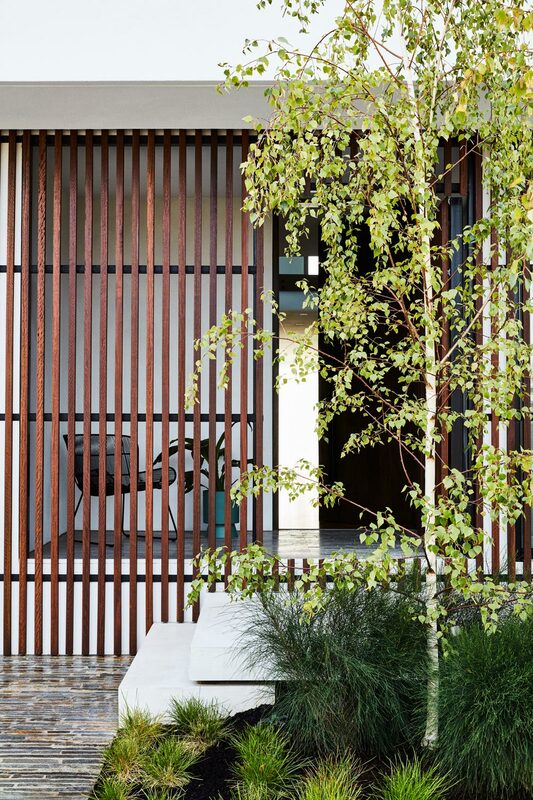 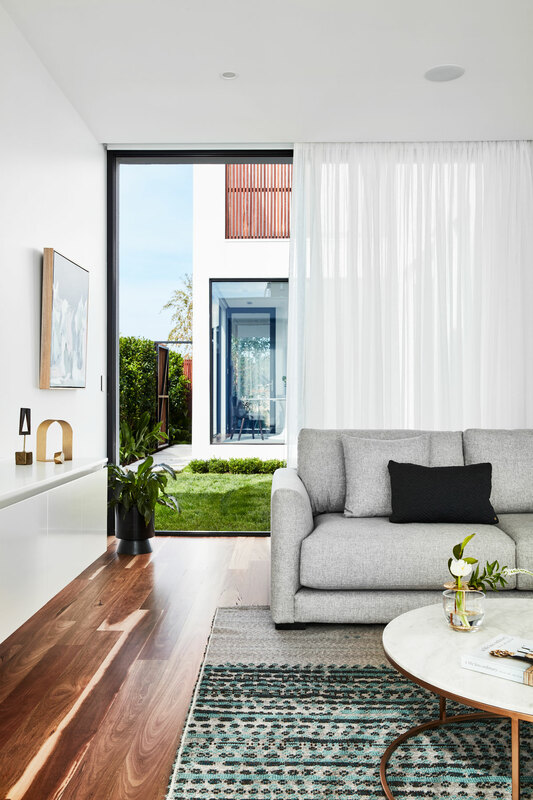 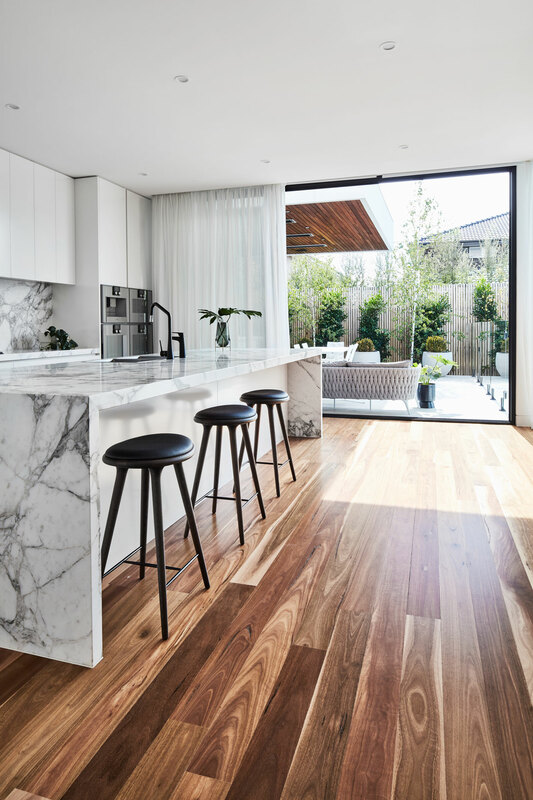 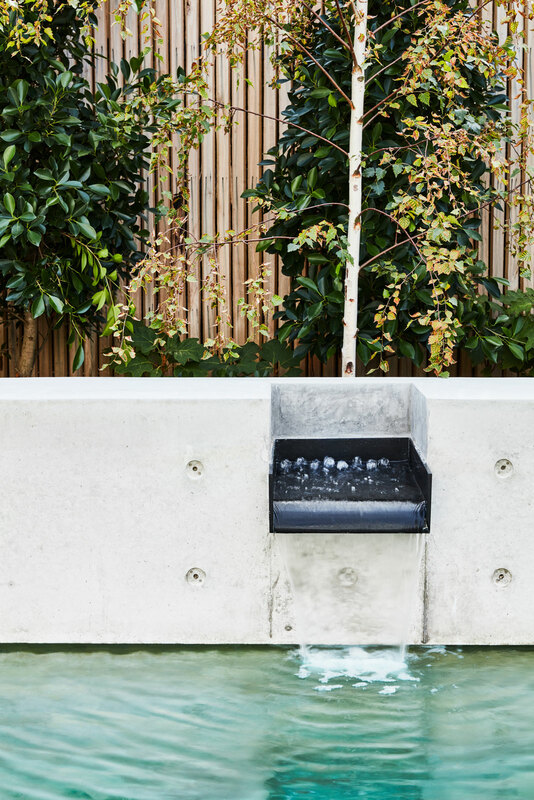 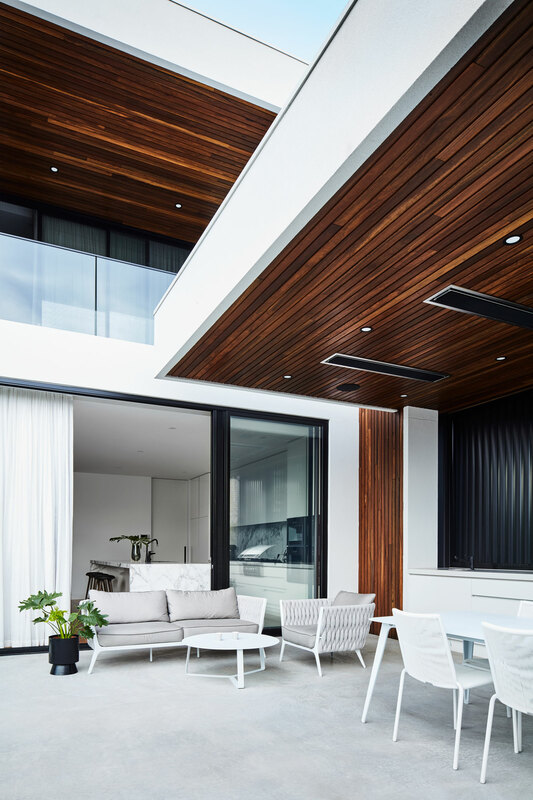 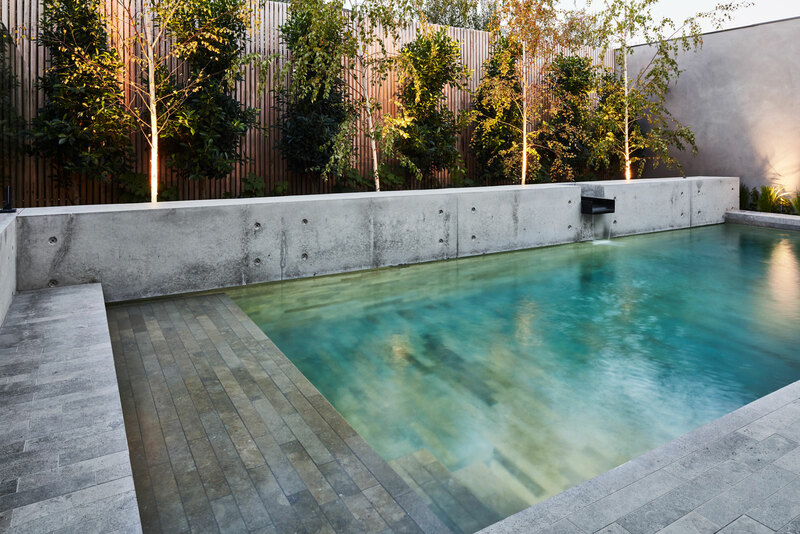 This creates a family home where the outdoor spaces are just as instrumental as the indoor spaces in enhancing life, providing functionality and creating activity. 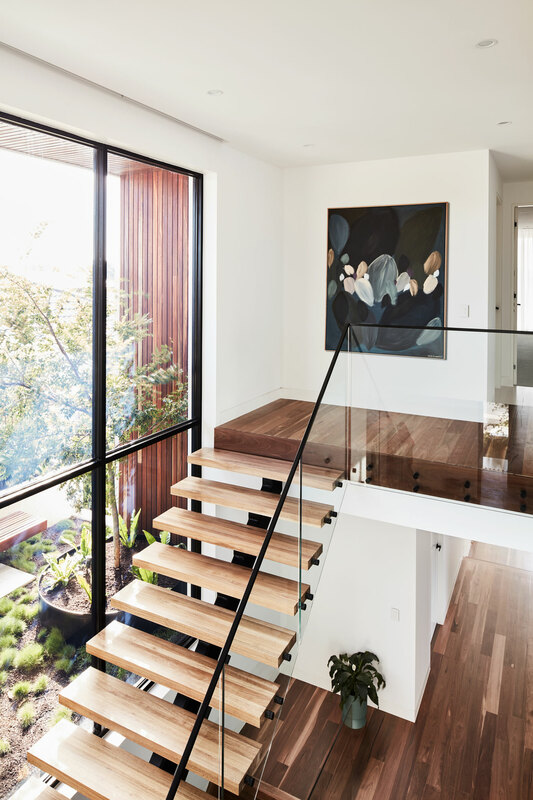 Vertical circulation over three floors is celebrated through a central double height void that visually connects each level against a feature garden backdrop. 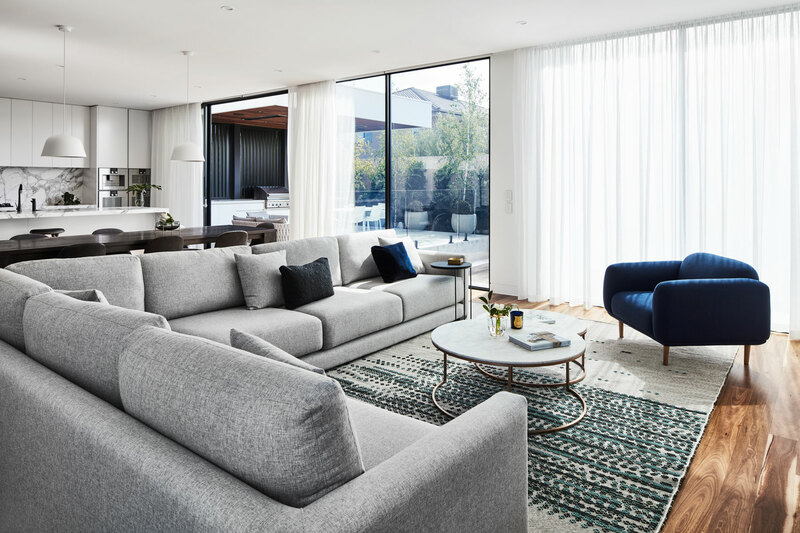 The spaces to each level were planned conveniently around the family’s own daily ritual, whilst also maintaining a hierarchy of space for visiting guests. 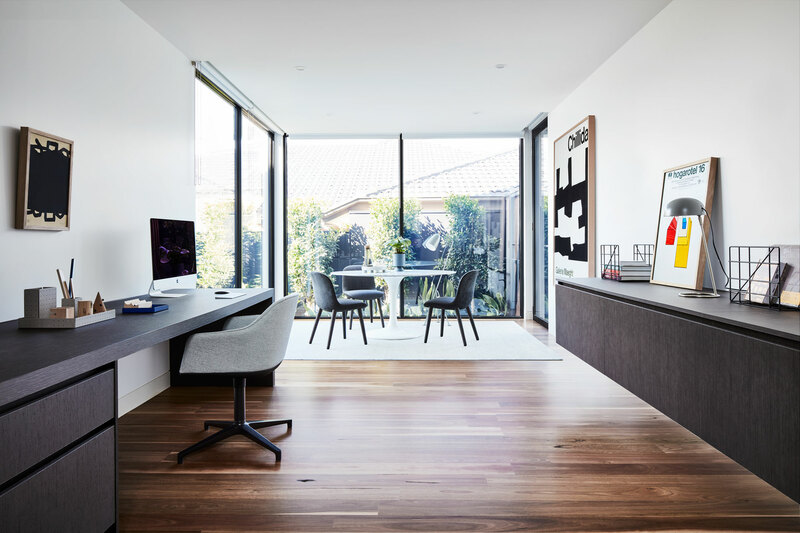 Formal spaces are to the front of the house with the informal everyday spaces to the rear. 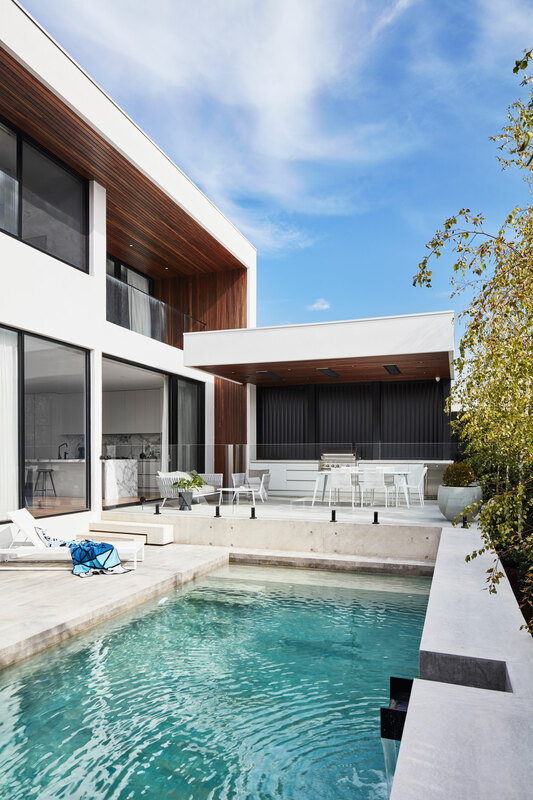 The basement level houses a multi-car garage and a cinema-like home theatre, the ground floor level offers a formal lounge, home office, guest bedroom and a large rear open plan kitchen-dining-living space that spills out on to a contemporary alfresco dining space and swimming pool area, and the first floor level holds four additional bedrooms with ensuites and a particularly generous master walk-in robe, all filled with natural light and views to the surrounding garden spaces. 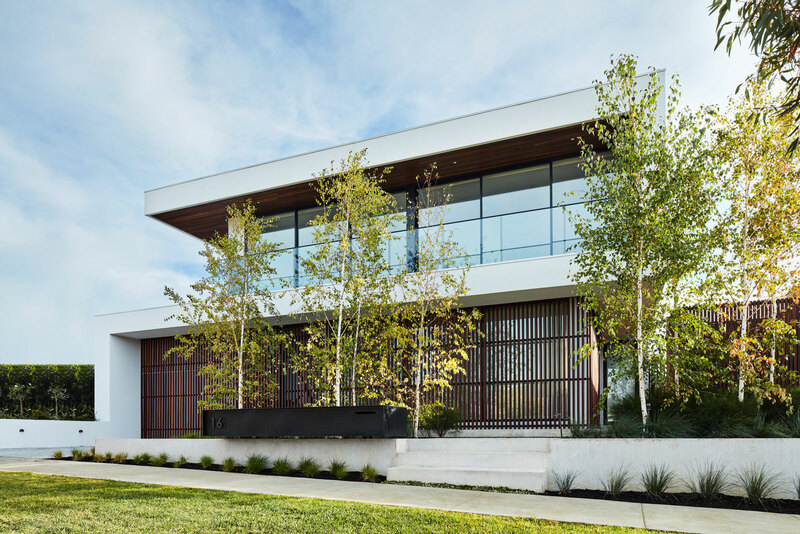 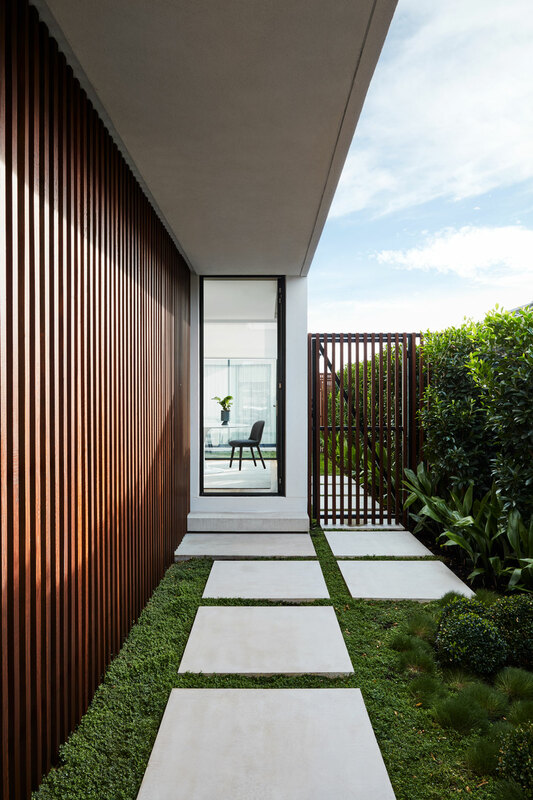 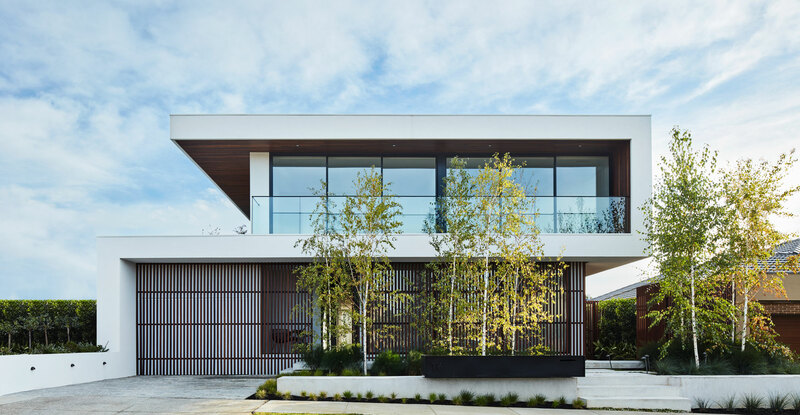 Viewed from the outside, the building’s elegant juxtaposition of pristine white surfaces against the warmth of natural timber set amongst lush greenery creates an architectural composition that is a showpiece of balance and harmony.